Dr. Justin R. Chisari delivers quality orthodontic care in Sebastian Florida, Cross Creek Lake Estates, Sans Sebastian Springs, Collier Club, Ashbury and other surrounding communities. Orthodontics is a specialized type of dental care involved with the straightening of teeth. As the first specialty to emerge from the dentistry field, orthodontics requires practitioners to complete specialized training at a college or dental school before graduation. The objective is to enhance the bite and overall oral health of the patient. When you visit our office, we’ll address your concerns and desires regarding conditions of the facial structures and the jaw. Orthodontic care is focused on fixing a patient’s teeth and guiding them to their correct places, although their work often involves restructuring the whole face for optimal results. Orthodontists normally use clear aligners and braces to set a patient’s teeth. Orthodontics provides specialized dental care to produce a more beautiful smile, as well as guard the health of your teeth and gums. Misaligned and crooked teeth form areas that can trap bacteria and food particles. Also, when spaces or gaps are present, your gums are more vulnerable to bacteria and plaque. Orthodontics enhances your ability to chew food and speak clearly. Conventional metal braces are normally the best choice for children and represent a chief component of pediatric dental care. They are formed from stainless steel that is temporarily attached to the front part of their teeth. If your teeth are crowded, have spaces and gaps, or other similar problems, you may be able to benefit from orthodontic care. The improvement of oral hygiene to combat tooth decay. Misaligned or crooked teeth that cause problems with eating and chewing. Straightening the teeth can lead to improved self-esteem and a better smile. Dr. Chisari is proud to welcome you and your family to the Orthodontic Specialists of Florida, located in Sebastian, Florida. Dr. Chisari graduated from the University of Florida with a doctorate degree in Medical Dentistry. He obtained a specialty certificate in orthodontics. Dr. Chisari was raised in southern Florida and is involved with community service in the form of advanced orthodontic care for both children and adults. 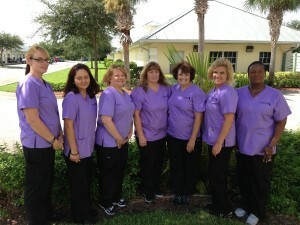 A visit to our orthodontics facility in Sebastian, Florida begins with a warm greeting from our professional staff within an atmosphere of comfort for you and your family. Our goal is to create a relaxing atmosphere that feels pleasing to you. We always welcome new patients at our office. We offer a FREE initial consultation as well as second opinions to help decide if braces are right for you.